On the occasion of the start of the Kurdish new year and before hundred of thousands of feverish supporters, imprisoned PKK (Kurdistan Worker Party, branded by many countries as terrorist organization) leader, Abdullah Ocalan, surprised many by announcing last week both a ceasefire and the withdrawal of all the group’s forces (experts reckon they amount to more than 3,000) from Turkey, in what some consider the culmination of years-long efforts from both sides to put an end to a decades-long bloody conflict that has left behind more than 40,000 deaths (a vast majority of them Kurdish), as well as thousands of ravaged families. With this declaration, the group meets one of the conditions PM Erdogan has repeatedly established to set off formal negotiation talks. A similar process was put into motion in 1999, following the capture of Ocalan by Turkish forces, but failed and, as a result, the Turkish army severely attacked the group. The second failed effort reached the 2010 “Oslo Accords” that many still consider a hopeful road map. Peace efforts were indeed rekindled last October (the moment was wisely picked, as elections are far away and the Government is highly popular amongst the Turkish populations), coinciding with a hunger strike organized by Kurdish prisoners that deeply impacted the society, and even though they were under threat when three PKK activists were murdered in Paris, many still believe they represent the best opportunity to put an end to a bloody silent low-scale civil war. Provocations from both sides often lead the talks to a halt, and this time moderate representatives have tried hard not to cede to radicals’ incitements. Achieve mutual trust stands beyond doubt as one of the most vital aims both sides have been fighting for. The question remains what concessions is the Central Government willing to make? Turkey is home to some 15 million Kurds, about 20 percent of the total population. The Kurdish community, the largest ethnic minority without a state in the Middle East, which some pundits consider represents more than 40 million people, is hopeful in this sense, as the latter could be included in the new Constitution the Parliament is nowadays drafting. What has the PKK been actually demanding for years now? They have been recently using unprecedented freedoms and restrictions imposed on them have been eased, allowing for instance classes of the Kurdish language, to reverse years of discrimination and alienation. The Kurdish community in Turkey is above all yearning for greater cultural rights, more local autonomy, and an amnesty for imprisoned activists (Ocalan’s freedom would thus represent a huge step forward in the path to peace). The rest of the Kurdish people call for more or less the same rights. They all have been sharing for decades a long-held dream of independence, complicated by the reality on the ground. They have endured harsh crackdowns in pursuit of this dream, and have for long been often dependent on an armed insurgency to press for their cause. The 1916 Sykes-Picot agreement promised the Kurdish people a state of their own. Kurdish nationalism originated with the dismemberment of the Ottoman Empire particularly as a result of the Treaty of Lausanne, which in 1923 recognized the Turkish Republic as a sovereign state and ended with the proposal to create an independent Kurdistan. Their political ambitions have been solidified by both the Arab Spring and the 2003 US invasion of Iraq. Part of the reasons why many analysts believe this time peace is possible lay on the other side of the border, in the Kurdish areas of Syria and Iraq, where different dynamics in the region nowadays fan the minority’s hopes. The Kurdish people have not, however, been fighting for years under a single banner, that is, different groups act on behalf of each of the regions an eventual Kurdistan would be divided into. And, even though the PKK represents the root to all of them and often funds their actions, these groups are often at loggerheads with each other, thus incredibly hindering their common action. The PKK fights against Turkey and is based in southern Turkey and northern Iraq. In Iran there is the Party of Free Life of Kurdistan and in Syria there is the Democratic Union Party (PYD in Turkish). 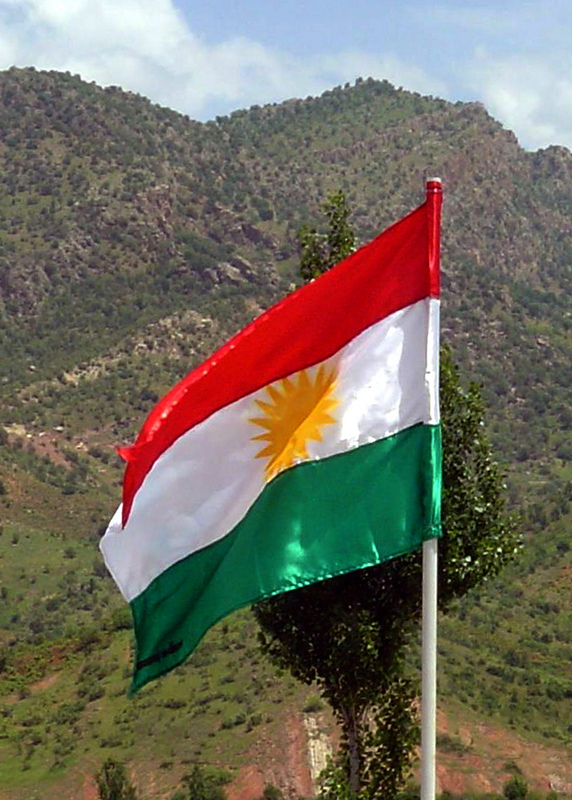 Some organizations seek to create an independent nation state of Kurdistan, consisting of some or all of the areas with Kurdish majority, while others campaign for greater Kurdish autonomy within the existing national boundaries. In what concerns the fate of Kurds in Syria, today nearly all hinges on the end of the good relationship Turkey and Syria had over the past few years. Shortly after the first uprisings in Syria, Ankara sided with the rebels opposing the regime of President Bashar al-Assad. In retaliation, Damascus stopped chasing Kurdish militias in the north eastern tip of its territory, notably the PYD. Precisely mainly because they see that the opposition in Syria is backed by Turkey and the opposition, both on the ground and in exile, has still not recognised Kurdish rights, the Syrian Kurds are more interested in being granted autonomy than in fighting along with the rebels and have used their weapons to defend their territory. Moreover, some of its elements were close to the Assad regime. After months of an escalating conflict, the huge majority of Assad’s forces left for the South, leaving behind a PYD practically in charge of the whole Kurdish region, as well as large areas of the border with Turkey. That has certainly been one of the factors that have pushed Turkey to seek peace with the PKK. 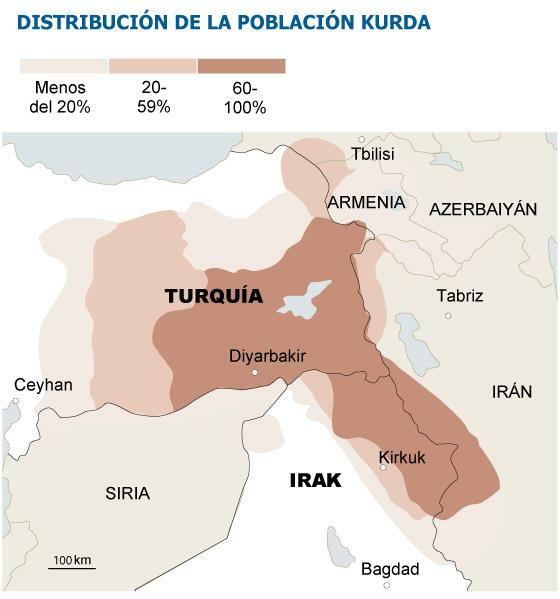 However, it has to be noted that Syrian Kurds themselves are also divided. The other major faction representing them is the Syrian Kurdish National Council, which maintains very good relations with the Kurdish Regional Government in Iraq, which in turn has ties with Turkey. In fact, the Syrian conflict has galvanized the Kurdish drive for self determination, and the autonomous Government of Iraqi Kurdistan has sent fighters to protect Syrian territory held by the Kurds. Today, Iraq is the only country where a continuous dialogue between the central government and the Kurdish regional government is conducted within the framework of the “new Iraq” which emerged after the fall of Saddam Hussein. The semi-independent autonomous Kurdish region in northern Iraq, born after the end of the First Gulf War from the safe haven the Allies established in northern Iraq and controlled by the Kurdish Regional Government, represents the largest gains the Kurdish community has obtained so far: it entirely controls its own legislative process, it has its own armed forces and, paradoxically thanks to Turkey, is also seeing its economic autonomy increasing by the day. It is enjoying a notable economic development: officials estimate there will be a growth of around 9% this year. Their being a landlocked territory turns them into an entity that depends on an open borders policy, and they have succeeded in improving their relations with their neighbours. The oil reserves are estimated at about 45,000 million barrels (a third of Iraq’s). Encouraged by the oil boom, the KRG has signed deals with foreign firms and, since January has been exporting oil through Turkey, even though that has incredibly angered the Arab government in Baghdad Iraq (which, contrary to Turkey, supports the Syrian regime and faces increasing uprisings). The latter is even toying with the idea of diminishing the allocation of still vital revenues. Kurdish are consequently adopting an assertive line, although their Government is playing cautious and has still no plans of breaking away, even though they have wisely accumulated many “facts on the ground”. They have learned from years of uprisings constantly being brutally suppressed under Sadam Hussein’s regime (even resorting to chemical warfare). The community was afterwards granted unprecedented freedom after the US intervention and has been seeking an endorsement of its constitution for seven years now, provided for by the 2005 Iraqi Constitution but hampered by political differences between the ruling and opposition parties, the starting point of a process that might eventually lead them to a very much awaited independence, for them and ultimately for their brethren.